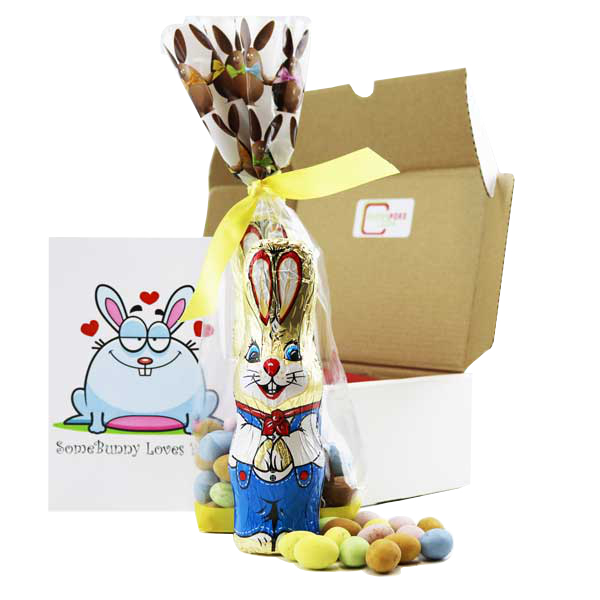 A great Easter special - a large milk chocolate bunny surrounded by 40 chocolate mini eggs, presented in a fabulous Easter bunny gift bag, finished with lemon yellow ribbon. Send him hopping to your friends this Easter! Terrific for Easter! Or just a nice spring time gift!